Thanatology is the study of the effects of death and dying on humans, taking into account both psychological and social aspects. Thanatology also involves researching ways to lessen the suffering and address the needs of both the terminally ill and those they will eventually leave behind. For the past 23 years, Barbara Harris Whitfield, who had her own near-death experience, has been working within the therapeutic specialty of death and dying. The author, workshop presenter and thanatologist maintains a private practice in Atlanta. Having studied with renowned grief expert Elisabeth Kübler-Ross, Whitfield believes grief therapy is still in the early stages of being explored, expanded and defined. Whitfield says neither counselors nor those working through grief should focus on the particular order of the five stages of death and dying: denial, anger, bargaining, depression and acceptance. “The grieving process does us. We don’t do it,” she asserts. “If we can let go of always needing to control and let things come up naturally on their own, half the battle will be over. The most overwhelming lesson I learned in doing my own grieving process is that there are feelings within me that are stronger than my will to control them. I had to give in and let them move and go at their own pace.” Furthermore, Whitfield strongly advocates for grief being considered a normal reaction to loss. She does not believe it should be labeled with a diagnosis or muted with the help of pharmaceuticals. “There’s a big difference between being depressed and being sad,” she says. “When we grieve, sadness overtakes us and rules our life for quite awhile. But there is movement. Eventually we move through sadness and make meaning out of our loss. Those considering grief counseling as a niche should seek additional educational opportunities related to grief and bereavement rather than relying solely on standard counseling curriculum, Whitfield advises. “Take all the extra classes and workshops you can. Realize that you can’t just sit back and be an expert,” she says. “You have to continually grow in order to help your clients.” She notes that grief and bereavement counseling is fairly new compared with other counseling specialties and is still actively growing and developing. One of Whitfield’s clients, who previously came to Whitfield’s office for counseling sessions, is temporarily living outside the state so she can be with her mother and allow her to die at home. When the client is struggling, she calls Whitfield and has a 30- to 60-minute session over the phone. “It’s just to keep her on track so she doesn’t feel over-responsible and to help her keep her mother at home,” Whitfield explains. “That’s our whole goal — to keep her mother at home so she may die in her own bed.” After the mother has passed, the client will return to Atlanta to begin grief counseling with Whitfield. Twenty years ago, Amy Liebman-Rapp was a highly respected designer, sales and marketing professional and management consultant in the Northeast residential construction industry. While she found psychology interesting, she never envisioned becoming a counselor and thanatologist. Liebman-Rapp was introduced to grief therapy when she sought help coping with her husband’s chronic long-term illness. In 1991, after her husband passed away, she also began looking for ways to help their 8-year-old son cope with the loss. She dove into research, reading as much as she could find on the subject of children’s grief. During this time, school officials and doctors expressed concerns that her son had attention deficit/hyperactivity disorder. But in trying to understand all that her son was going through, Liebman-Rapp discovered that AD/HD and child bereavement share similar features. Eventually, it was determined that her son did not have AD/HD; he was simply a grieving child. Finding herself at a new stage in life as both a grieving spouse and parent, Liebman-Rapp decided to return to school to pursue a degree in counseling. She attended the graduate counseling program at Fordham University and The Dougy Center/National Center for Grieving Children and Families International Summer Institute in Portland, Ore. With the support of her mentor, Kenneth J. Doka, she collected information both from her research and her own experience and set out to help other parents console and care for grieving children. Today, Liebman-Rapp, a member of the American Counseling Association, is a private practitioner, speaker and educator. She’s also the founder of The Sanctuary, a New York/New Jersey-area resource center that provides grief counseling, bereavement education and outreach to children, teenagers, adults, families, communities and businesses that have experienced the death of a family member, colleague or friend. Additionally, she helped establish A Little HOPE, a national not-for-profit charitable foundation whose mission is to help provide grief counseling and bereavement support services to children and teens who have lost a parent or loved one, regardless of the circumstances. Another current discussion among grief counselors pertains to human resilience, Liebman-Rapp says, or the factors that make individuals either more or less able to cope and recover from the loss of a loved one. Practical matters, such as financial security, good health and positive social support, affect a person’s grief process as much as their personality traits, coping style and ability to find positive meaning after a traumatic loss, she says. Graham adds that the counseling profession and society in general are becoming more accepting of the fact that individuals can grieve over any type of loss, be it a loved one, a relationship, a job or even a pet. 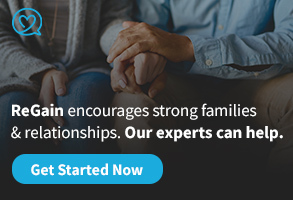 Counselors who want to stay connected and current in the field of grief counseling are invited to join the ACA Grief and Bereavement Interest Network. 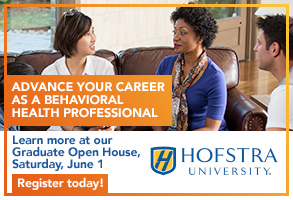 For complete details or to sign up for the Listserv, go to www.counseling.org and click on the box near the bottom of the page that says “About Us.” Scroll down the page until you see “Interest Network Facilitators” and click on the link for more information. For more than a decade, marriage and family therapists (MFTs) in Connecticut have advocated to be included as part of in-house student mental health services teams at schools. Last year, they achieved their goal when Connecticut quietly became the first state in the nation to pass legislation certifying MFTs to work in school settings. Counseling professionals on both sides of the debate view this action as a landmark change and believe it could have major implications on the future practice of school counseling. After the State Board of Education declares its intent to adopt the regulations, the regulations will be sent to the Office of Policy and Management and the Governor’s Office for approval. After approval, notice of a 30-day comment period will be published in the Connecticut Law Journal, and public hearings will be held. The public will be encouraged to submit written comments on the proposed regulations. After the public hearings, the comments will be reviewed and the regulations modified, as appropriate. The proposed regulations will then be presented to the state board for adoption on or before May 7. Upon adoption, the regulations will be submitted to the Office of the Attorney General for a determination of legal sufficiency and, if approved, will be sent to the Legislative Regulations Review Committee and the Office of Fiscal Analysis. After approval, the regulations would become effective upon filing with the Secretary of State. Headed in the ‘wrong’ direction? In the view of Bob Schmidt, a retired school counselor and past president of the Connecticut Counseling Association, the ball was dropped when the Connecticut School Counselor Association broke away from CCA in 2006 and appointed its own lobbyist. “They just took no action against it. I’m not sure why,” he says. “They couldn’t possibly think it was a good idea.” At press time, e-mails asking the CSCA president and president-elect for comment had received no response. While state regulations in the law will require MFTs hired to work in school settings to complete additional training and course work, many of the regulations do not have to be met until 2014. Adding the certification for MFTs to work in schools will likely have the greatest impact at the elementary level, where school counseling positions in Connecticut are already few and far between, Schmidt says. 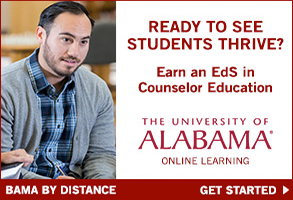 According to him, only one in approximately every four towns in the state has a school counselor. Considering that he is both a licensed marriage and family therapist and a certified school counselor, Tony Crespi brings a unique point of view to the debate. A professor of psychology at the University of Hartford, Crespi believes that with licensure now regulated in most states, marriage and family therapy has slowly evolved from being a practice or specialty within counseling to its own profession. Because of that, he says, the new certification allowing MFTs to work in schools will be on par with those issued to school counselors or school psychologists. Crespi draws a comparison to the medical field. If someone is having a heart attack, he says, that person would want to see a cardiologist, not a gynecologist. “All physicians have the same license but, obviously, there is a huge difference between the board certifications,” he says. “If a doctor wants to change specialties, then they go back and do a great deal of additional training and study. In our state, to be an LPC doesn’t (automatically) mean one can be certified as a school counselor, for similar reasons.” While acknowledging there is some overlap in all counseling-related fields, Crespi finds the differences too significant to overlook. Crespi also voices concern that placing greater focus on mental health during the school day might result in creating a different set of problems. “The purpose of school is education,” he says. “If a student has a 10 a.m. therapy session every day, right before their English class, they may not be able to focus on their schoolwork after the session. If this goes on for a couple of years, consequently, they may not be reading on the level they should. That’s now a new problem. We don’t want to substitute one problem for another.” He adds that it will be very important for MFTs not to disrupt students’ schedules and learning. American School Counselor Association President Eric Sparks doesn’t think that Connecticut’s decision should result in a turf war or any panic. He views MFTs working in school settings as another cog in the wheel to help students succeed. Although Sparks sees a benefit to having MFTs in schools, he admits some concern that providing therapy sessions during the school day could interfere with students’ education. He thinks the sessions might best be handled after school hours. Licensed as a psychologist and marriage and family therapist in Connecticut, Ralph Cohen has worked both in school settings and private practice. He was a strong supporter of the legislation and believes having professionals who specialize in family systems working in schools makes good sense. “Children bring whatever is in their head into the classroom. Whatever is going on at home or on the street comes into the class with them,” he says. “There is a polarization between families and schools. Schools tend to see the family as antagonistic. It’s a game of tug of war with the child in the middle.” Cohen would like to make the schools more family-friendly, so both sides will feel they are on the same team and working together in the best interests of the child. I met my team members at headquarters at 4 a.m. so we could begin the 1.5-hour drive up the mountain for a briefing with local firefighters. On this day, residents of the Lake Arrowhead area of California would also be allowed up the mountain to see the sites where their homes had stood just the week prior. Since that time, the roads had been blocked off and guarded by police, as the California wildfires were still smoldering and the area was considered dangerous. I was here to serve as a disaster mental health counselor as part of the American Red Cross effort to aid victims of the wildfires. The residents assembled at the local school and received passes to enter the area that had been ravaged by fire. American Red Cross volunteers were also in place, offering shovels, rakes, water, snacks, masks, gloves, sifters and psychological support. Also greeting many of the returning residents were piles of ash, from which rose metal pieces resembling prehistoric monsters. What was now rubble had once been their homes. This is an account of the residents’ coping efforts in the first days after the wildfires, as well as my thoughts on the role that mental health counselors can play in aiding victims caught in the midst of devastation. Heroism: Residents’ faces wore expressions of fear, confusion and shock. One lady proclaimed, “I cannot recognize anything. Not one thing!” Initially, most picked up sifters or shovels and attempted to look for some familiar item, only to find that the entire contents of their homes had been reduced to a fine gray ash. As I approached one former homesite, a woman was running her finger over the gold rim of a piece of china. She looked at me and said, “My gold china.” From her pocket, she pulled out the head of a small statue and a broken piece of the base for a Lladro figurine. She repeatedly exclaimed, “Oh, Mommy, I am so sorry!” She then told me this had been her favorite piece. One week before her mother’s death, her mother had allowed her to pick out the piece. She had chosen the figurine because it looked like her mother. Mental health providers can help the other volunteers and first responders better understand that victims’ seemingly irrational responses are actually normal reactions given the circumstances. We can also educate volunteers about helpful responses to the survivors’ reactions. Most of these volunteers are on the front lines, dispensing food and materials to victims. All volunteers could benefit from taking a psychological first aid course, which could be offered at the deployment site. Honeymoon: The community came together in a time of pain, need and loss. A temporary meeting site was established in the parking lot of a small park at the base of the mountain where 199 homes were lost. Community members manned the tables, passing out information to their neighbors about the first steps to take in the aftermath of the fires. Cases of water, shovels, rakes, masks, gloves, eyedrops, snacks and friendly hugs were all made readily available. One afternoon, a case of beer even arrived from a fellow resident. A woman and her son drove through the former homesites offering homemade sandwiches to the workers and residents who were sifting through the burned out remains. Another lady stopped and asked where she could drop off clothing donations. Neighbors pitched in to help older residents dig through the ashes in hopes of finding items that somehow managed to survive the flames. We worked hand-in-hand with the community, and they taught us what their needs were. Local responders and resources initially manage the situation until a disaster is elevated to a national level. Then the area becomes eligible for federal aid and other support services. When we respond at the national level, it is side-by-side with the local responders. It behooves us to follow the lead of the local experts concerning their community’s norms, values, traditions and socioeconomic characteristics. When all the volunteers and services are pulled out, the local responders are once again left with the needs of the community in their hands. Anger: The National Orange Show Events Center was set up so those affected by the wildfires could meet with caseworkers and have their paperwork filled out and processed for eligibility of services. Being asked to produce verification of various aspects of their lives during such a difficult time made some people very angry. In one instance, caseworkers called me over because they felt threatened by a man who was yelling at them. They didn’t understand why he was so angry with them; they were only trying to secure necessary information so they could authorize services and financial aid for him. They were also upset because they had seen him hit his dog and yank her by the choker collar. The man was frustrated because the system required proof of residence to become eligible for services. He claimed his license and registration were for his prior place of residence. Boiling over, he screamed, “I have no (expletive) gas money!” However, talking calmly to him and acknowledging his frustration, his feelings of separation from his girlfriend and his sense of dislocation eventually helped to defuse his anger. After he calmed down, the caseworkers eventually acquired the needed information. Humor: Within two days of returning to the sites where their homes had once stood, the residents’ use of humor as a coping mechanism became evident. Signs appeared with messages such as “Open House, BYOB,” “We’ll be back” and “Yard sale.” One family made up a sign with their surname and street address. Many of the ash and rubble piles suddenly acquired “entrances,” as objects such as a wrought iron lawn table and chair were pulled from the debris and set up. On another street, one lone house stood amid rows of ash plots. As I was talking with a family who had lost their home, a woman spoke up, pointed to the house and said it was hers. With tears in her eyes, she said she felt terrible that her home had survived the wildfires while her friends had lost everything. I eventually led her to realize that her home could provide a place for neighbors to come and support each other, break bread together or even have their basic needs of a restroom met. Re-experiencing trauma: The scene the Vietnam veteran encountered on the mountain triggered a question from his past: “Why did I live and my buddies die?” Old wounds were torn open by the metaphor of his house surviving intact while all his neighbors’ homes perished in the fire. In 2003, wildfires in California also destroyed many homes. The recent fires have retraumatized many of the people who lived through that experience. At the service center, I was called over to see a woman who was crying. She and her husband were applying for aid. She told me they had lost everything in the 2003 fires and had just been getting back to normal. The latest fires had brought back all the bad memories. I helped them understand that it is normal for old traumas to return to the surface when experiencing a new loss. In these situations, mental health workers should offer compassionate understanding and acknowledge the magnitude and far-reaching effects of the current loss. During disaster response efforts, the roles of professionals and nonprofessionals often become blurred. Traditional counseling methods such as reflection, paraphrasing, silence and interpretation are helpful, but nontraditional methods are also indispensable. Performing outreach in the areas where supplies are being handed out is an effective method of establishing contact and initiating the helping relationship. Prior to Hurricane Katrina, volunteers remained at the shelters and service centers to work with survivors. Now we go into the affected areas to work with the people wherever they are located, be it on the hillside, in a trailer, at a community shelter or in a parking lot. In my experience, this led the residents to recognize me more readily as a “helping face.” The next time they needed something, they would feel more comfortable coming over and speaking with me because a relationship had already been established. Due to my accent, I quickly acquired the nickname “Boston.” When I returned to the homesites, residents would recognize me, say “Hey, Boston,” and walk over to talk. One man who had attended Boston University had a son who was helping sift through the rubble. I had previously told the man that I had gone to Boston College, so he started calling me “BC.” On the third day, he saw me and yelled, “Hey, BC.” He walked over and explained that a man needed help getting down the road with his boat. Utility trucks were all over the hill, and many of the roads were impassable. I was honored to have established enough of a relationship that he felt comfortable seeking me out. This is not traditional counseling. You do what is needed at the moment, and consistent presence allows that to happen. While a counselor’s official function as part of the disaster response team is to provide mental health support, you’re just as likely to find yourself helping to unload a truck of supplies or handing out water and snacks. Approach these as opportunities to interact with the other volunteers, establishing relationships and assessing how they’re coping with the devastation and the grief of the survivors. These shared times will result in more volunteers calling on you if they think a survivor might need “Mickey.” Likewise, after unpacking cases of water together and sharing a few laughs, volunteers will be more comfortable coming to you when they’re feeling overwhelmed or stressed. Flexibility and adaptability are the cornerstones of a disaster response operation. People are asked to change plans, assignments and even sleeping quarters at a moment’s notice. Normal routines, including what you eat and when you eat, are disrupted. Re-entry home is not as smooth as one might think, even though the American Red Cross assigns mental health volunteers to help its other disaster response volunteers to debrief. Disaster response volunteers are thrust back into their normal day-to-day world, but they still have one foot firmly planted at the disaster site. A piece of your heart remains behind with the many people whose sorrow you shared, and intrusive thoughts tend to pop up even as you attempt to tackle your daily demands. Did that lady ever find her wedding ring in the debris? Did the elderly lady recover the cast iron pan her deceased mother had given her? Be prepared to feel a bit dissociated from your normal daily routines, even as you resume your professional and family responsibilities. Louise Graham is a member of the American Counseling Association and an associate professor in the Graduate Department of Counselor Education at Bridgewater State College. Contact her at lgraham@bridgew.edu. People attend professional conferences for a number of reasons. Whether you are attending your first conference or your 30th, goals are important. Professional growth and renewal through educational sessions and networking opportunities are desired outcomes for all of us. It’s easy to get sidetracked, though, if you haven’t defined what you want to accomplish. Bring plenty of business cards for networking purposes. If you don’t have a job that supplies these, most office supply stores and copy centers can print some for you. Several good online services can also provide professional business cards in high volume fairly inexpensively. Update your résumé or curriculum vitae, even if you aren’t planning to participate in the on-site interview program. (But if you are, bring plenty of copies with you!) You never know when a chance meeting could turn into an interesting opportunity. Copy your résumé, research papers, syllabi and pictures of the kids (in case you run into a long-lost friend from graduate school) onto a thumb drive that you can slip into your pocket or briefcase. That way you won’t have to scramble to locate someone back home who can access and e-mail you a copy over the weekend. Good walking shoes are essential, and planning your wardrobe in layers for meeting rooms that are too warm or too cool will only add to your personal comfort. Also pack some protein bars or other healthy snacks, a water bottle, something to write on, something to write with and a couple of highlighters. Because this year’s American Counseling Association Conference & Exposition is in a resort area, you will probably see a lot of “Aloha-wear.” For most, business casual (including fun Hawaiian shirts) will rule. But if you are planning to interview for positions in the Career Center, recognize that some employers may expect a more professional appearance. Also bear in mind that “hot and humid” describes the climate, so light, natural fibers are recommended. After you’ve arrived at the conference site, check in at the registration desk. Be sure to pick up your complimentary tote bag and take some time to look through it. Pay particular attention to the Program Guide, and look for the addendum, as well — there are always additions and changes to the program after printing deadlines have passed. You’ll also want to watch for the Conference Daily, which contains last-minute schedule changes and other tidbits and is distributed each morning during the conference. On your first run through the Program Guide, put a check mark next to any of the programs that sound interesting and a star next to anything that you think is a “must-attend” session. Your second time through, prioritize your choices. It’s a good idea to have a second choice in mind, just in case the session you plan to attend is too crowded or has been canceled. After identifying the programs and other activities you want to attend, put together a schedule. Time your route from your hotel room to the conference site, and be sure to add a little extra time for congested elevators. Find all the amenities you might need, such as coffee carts, restrooms, business center and restaurants. Hop on the shuttle bus and figure out how to get from place to place. Head over to the Exhibit Hall and check out products and services that are especially designed for counselors. The ACA Bookstore, the Career Center, and ACA Professional Affairs and Member Services all have areas within the Exhibit Hall as well. This is also where Poster Sessions are presented. One of the best suggestions I’ve ever heard for professional meetings is to use a two-page note-taking technique. The right-hand page is for keeping notes from what is said, and the left-hand page is for jotting down ideas for implementation once you return to normal life. Don’t plan every minute. Pace yourself and enjoy the experience. Treat yourself to a nice dinner with colleagues, time on the beach or a rejuvenating spa appointment. Professional conferences are among the best venues for networking and professional growth if you are prepared for the opportunity. See you in Honolulu! Amy Reece Connelly is the manager of ACA Career Services. E-mail questions or request telephone consultation by contacting her at acacareers@counseling.org. Q: I have an individual part-time private practice in Michigan. In my area, several licensed professional counselors have experienced difficulty gaining access to insurance panels and reimbursement. To help learn from each other, we have begun to discuss becoming a group practice. However, we are struggling with how we look into this option — the legalities, etc. We even wonder if we can advertise together without officially being a group. Also, in our area, the main insurance carriers are Priority and Blue Cross/Blue Shield. Priority has denied me and several other qualified LPCs, indicating they have “enough” in our area. I am thinking of trying the ad hoc procedure to gain access with Priority. More frustrating is the response I get from Blue Cross/Blue Shield indicating that they will not reimburse any LPC in the state of Michigan. Is this true, and if so, how can we go about changing this? Do we need to employ a physician or psychologist to gain access to Blue Cross/Blue Shield reimbursement? Being only a part-time therapist, I have found this a very time-consuming and frustrating process! 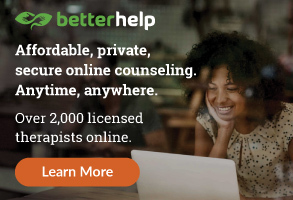 A: The “Private Practice” section of the American Counseling Association’s website (www.counseling.org) includes response letters to denials by managed care companies. To use the letters to become an “ad hoc” or out-of network-provider, you need a client who wants to work with you so you can get paneled. Persistence is key. Once you are “ad hoc,” you most likely will be included in the database for that managed care company. We have had people get referrals from companies after ad hoc status. As far as Blue Cross/Blue Shield of Michigan, we have talked with many Michigan counselors and are aware of the problem you described. Have you tried to use your state organization to get Blue Cross/Blue Shield to recognize counselors? Among the letters on the “Private Practice Pointers” section of the ACA website is a template that state organizations can use. We understand the medical director of Blue Cross/Blue Shield in your state is an M.D. who won’t budge on including licensed counselors. Don’t give up. Unite others and form a committee or join one that is already working on this issue in your state. It is a very important issue, because Blue Cross/Blue Shield recognizes LPCs in almost every other state. Your question about using a physician or psychologist to get on panels may not work because each provider must submit bills under his or her own national provider identifier (NPI) number. A corporate NPI is good to have, but it’s not enough, because an individual number is also needed on the HCFA CMS 1500. Your initial question about forming a group practice is good. Consult an accountant in your state for particulars, and then move forward with your idea. It’s also a great idea to advertise and market together. Just make certain that you have a good written agreement defining your group and money issues and containing an exit clause. Q: A friend of mine has a private practice. However, he does not hold a license or credential in counseling, even though he has a Ph.D. in counseling. He is clocking hours for a credential and is sitting for the oral and written exam that is pending. In the meantime, he has a therapist in his office sign off for billing purposes. Can you clarify the term “therapist of record” and the legalities of such a procedure? not lawyers, we’ll offer our opinion — and stress that it is our opinion alone and not that of ACA. In researching “therapist of record,” we found the term only in the literature of physical therapists, speech therapists and occupational therapists. We did not find any references for counselors. State licensing boards give very clear guidelines about counseling practice and credentialing. Check the state where you work for specifics. In Illinois, where we practice, only licensed counselors may treat clients. 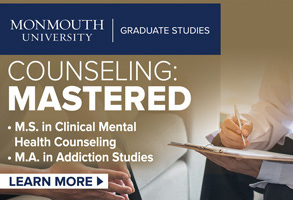 We have a two-tiered license with the LPC (licensed professional counselor) as the first credential and LCPC (licensed clinical professional counselor) as the independent credential. With the LPC, a counselor can see clients under the direct supervision of an LCPC. The LPC must disclose that he/she is under supervision. The LPC cannot bill third-party payers such as insurance or managed care. We don’t think it is ethical to bill under another name. This practice may open both the counselor and the supervisor up to discipline by the licensing board. Q: In the October 2007 issue of Counseling Today, you addressed a question regarding employee assistance programs (EAPs). I’d like to know which managed care companies you would recommend signing up with as opposed to the ones that have extensive paperwork and horrible rates. A: ACA’s website contains our list of the top 57 managed care and insurance companies with EAP contact information. We designed the list to include direct links to the provider relations section of each website as well as information on how many lives are covered, reimbursement rates and paperwork requirements. Check the list and decide which of these companies are good for you. We don’t make specific recommendations for obvious reasons (we don’t like lawsuits). Stay tuned for more information coming in the next few months regarding implementation of a required transfer plan, as addressed by the 2005 ACA Code of Ethics (Standard C.2.h., “Counselor Incapacitation or Termination of Practice”). We will be posting a bulletin on the “Private Practice Pointers” section of the ACA website detailing the essential components. We hope to see you at the ACA Conference in Hawaii. We will be signing our book, The Complete Guide to Private Practice for Licensed Mental Health Professionals, at the ACA Bookstore in the Convention Center on Thursday, March 27, from 5:30-6:30 p.m. We will also be presenting a preconference Learning Institute, “Starting, Maintaining and Expanding a Successful Private Practice,” on March 27. In addition, the New York Mental Health Counselors Association will be sponsoring our workshop on private practice at its convention on April 11 at the Marriott Hotel in Albany, N.Y. For more information, visit www.nymhca.org.